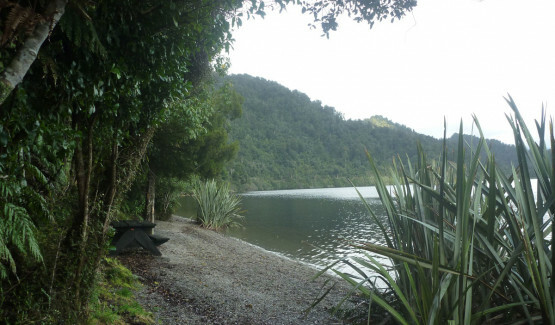 Summer brings long balmy evenings, BBQ dinners & the quitessential Kiwi camping trip. Check out these great spots for camping, excellent activity options, and sizzling summer fun! 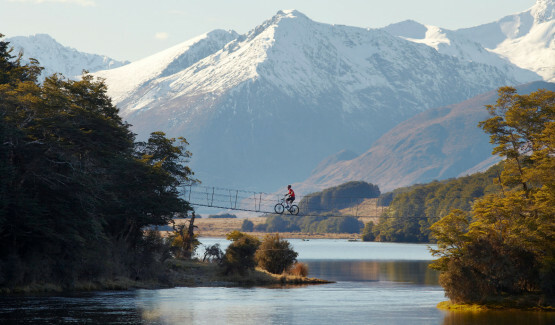 Pack up your mountain bikes, kayaks and walking boots and hit this magnificent part of Southland! With two DOC campsites available, parking up in this pristine alpine location is easy. Walks and a clean, calm lake offer great outdoor activity options, nature walks and sublime MTB trails. Facilities include toilets, boat launching area, 60 non – powered sites and a communal BBQ. 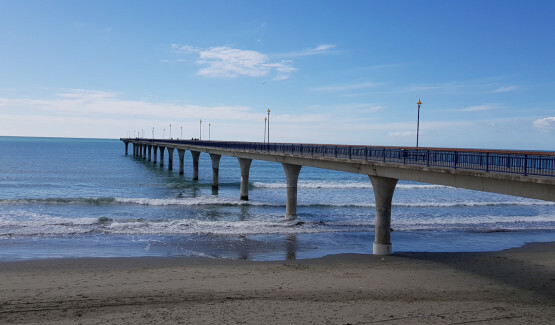 Brighton Beach offers excellent surfing and SUP opportunities, quaint eateries, a beautiful sculpture park and a safe swimming beach. The waterfront facilities have been upgraded to include a new playground complete with pirate ship for the kids to enjoy. South Brighton Holiday Park is the place to set up camp. It’s close to Christchurch City, yet secluded enough to give you that great summer holiday feel. Wake to the dawn chorus of native birdsong and enjoy the cycle trails and walking tracks right on the doorstep! Marlborough is definitely a well-loved summer destination. Riddled with great camping op’s, beautiful beaches, reserves and wildlife, the Queen Charlotte Track is a fave and the Link Pathway offers keen walkers and cyclists a thoroughfare between Picton and Havelock through amazing native bush. 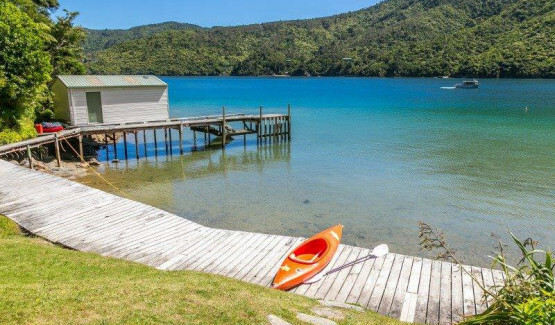 Staying in the little coves of the sounds is made easy when you rent a summer holiday home with Sounds Great Holiday Homes. Grab the family and your bags, the rest is there waiting for you. Awesome scenery, warm calm waters, fishing, cruises & kayaking are just a few of the incredible activities right on the doorstep. One of our West Coast treasures, Hokitika offers the quintessential kiwi beachside experience. World famous for its amazing sunsets, Wildfoods Festival and pounamu trade, this slice of West Coast Wilderness will draw you back time and time again. Enjoy a walk through the treetops and learn about our native flora & fauna at West Coast Treetop Walk and café. During the summer months, you can dine in the evening and walk the bush canopy taking in magnificent views. West Coast Scenic Waterways will take you on a beautiful cruise through the Mahinapua Waterways. You can also stay in one of their well-appointed units right on the West Coast Wilderness Trail. Cycle tracks, walking tracks, beaches, great food and a welcoming community make Hokitika a very cool summer destination. Tucked away in a peaceful cove on Canterbury’s Banks Peninsula, Okains Bay offers an interesting cultural experience, historic buildings and a large campsite for families and guests alike. Fish the calm waters of the bay, explore the local museum and relax in the sand dunes. The local store is the oldest trading post in New Zealand and they serve up scrummy fish & chips on weekends and cool Kiwi ice cream all week long! Camping and cool waters! Set in New Zealand’s iconic Mackenzie Country, Lake Tekapo is one of the most picturesque holiday spots in our South. Mountain bike trails, hot pools, hiking tracks and nature reign here. Hydro canals are full of salmon, just heavenly for anglers. Kayaking, sightseeing flights, alpine vistas and excellent cycle trails will keep you entertained during your high-country discovery. Balmy summer evenings spent feasting off the BBQ and spectacular dark skies for some romantic stargazing. What more could you want? Situated on the edge of gorgeous Lake Mapourika, this little gem of a camp is one of DOC’s finest. The great facilities are accessible for all abilities. Enjoy outstanding fishing op’s, beautiful native birdlife, expansive views and a genuine West Coast Wilderness experience. Offering 20 non-powered campsites, you’d better be in quick. No bookings required, first in, first served! 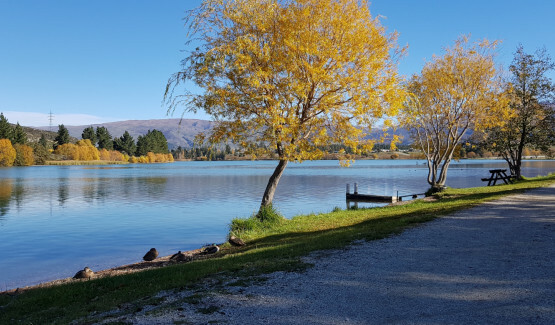 Central Otago sizzles in summer and there’s no better place to cool off than Lake Dunstan. With excellent boat access, large green spaces, an amazing Heritage Precinct and plenty of MTB & walking tracks to explore, this little town packs a huge range of activities to enjoy. The free camping area at Lowburn has plenty of space for self-contained vehicles and awesome vista’s over the lake. Close to Wanaka, Queenstown and Alexandra, this is a perfect spot to base yourself while exploring the region. Tucked away in the beautiful Catlins, Curio Bay is teaming with wildlife. This outstanding natural environment is home to hundreds of species of native birds & marine life. Waterfalls cascade from the hills and walking tracks to view them are everywhere. Dolphins frolic in Porpoise Bay and swimming, surfing and fishing are favourite activities for locals and guests alike. Tumu Toka Curioscape offers good camping, a café and information centre relaying the history and ecology of the area. Grab your surfboard, your cuzzies and the caravan! A totally beautiful natural experience. Go beyond Queenstown to the delightful and remote hamlet of Glenorchy. Located at the headwaters of Lake Wakatipu, this picturesque hamlet has all your needs covered. Boat access, a tavern, café’s, petrol station and general store will keep you stocked up on your fantastic summer getaway. Camp Glenorchy is a self sufficient and totally sustainable accommodation option catering to individuals, families and groups. There are several DOC campsites around this area which are very affordable and set in totally sublime locations. Wildlife is abundant and views are picture postcard! These are just a few of our fave’s. Of course, there’s plenty more & you’ll find them here on Southproud.co.nz. Happy summer! Please remember to prepare for any outdoor excursion appropriately. Our friends at New Zealand Mountain Safety Council have excellent resources to help you plan your walk, hike or trail ride.